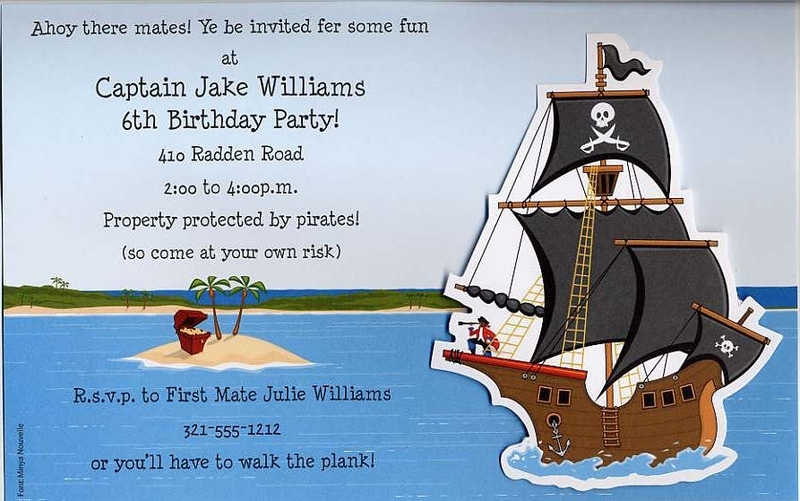 Ahoy there mates! 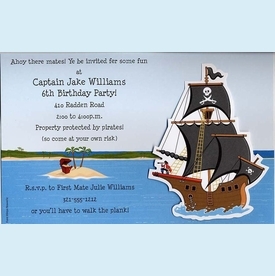 Fun invite for a buffooning pirate bash. Diecut buccaneer ship attaches with a jiggly spring for added fun. Last 2 sets!